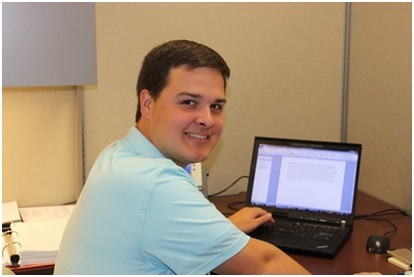 Jacob Hammitt, an accounting major at Kennesaw State University, completed a summer internship for the Paulding County Finance Department as part of the 2016 Summer Georgia County Internship Program. Hammitt had no prior experience working within county government, yet did have a rudimentary knowledge of county operations. After completing his internship, he expressed a much deeper understanding of how government operates and noted that he developed a respect for county government staff, who are trying to make the best decisions for the taxpayer. During his internship Hammitt’s main responsibility was working with the comptroller on the county’s budget. He assisted by gathering data from various departments and inputting the data into documents, which required formatting and analysis. Hammitt designed graphs and conducted analysis so that the data could be presented. All of that work was compiled and used in the final county budget. Hammitt expressed that his greatest success during his internship was the finished county budget document that he assisted in creating. He was also very proud of the graphs that he built to convey the department financial information, which he believed displayed very pertinent and interesting data for the citizens of the county. Hammitt also found meeting people and delving into the county finances to be the most enjoyable part of his internship. Hammitt expressed interest in working for county government after graduation, which he sees as important and rewarding work which will give him the opportunity to make improvements in the community.